There were also 22 crimes reported as having took place at the Scottish government’s headquarters - none of which have been solved. 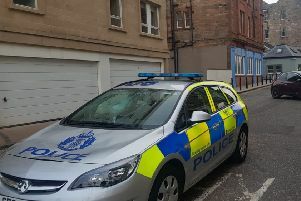 Offences at St Andrew’s House in Edinburgh included handling obscene material, threatening communications and three thefts of bicycles. A spokesman for the Scottish Conservatives said: “With a building as large and well-populated as the Scottish Parliament, it would be naive to expect there to be no crime at all. “However, people will be alarmed that so many reports have been investigated.